Car shoppers who are after a vehicle that has topnotch performance and eye-catching styling will definitely love the 2016 Dodge Charger. Named as one of the Top 10 the best full-size sedans in the market, this ride will give you thrills and make every journey memorable. 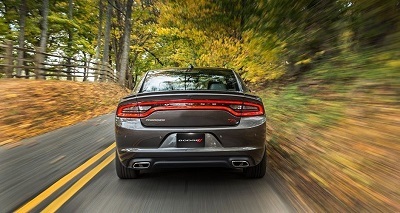 The 2016 Dodge Charger base trim is equipped with a 3.6L V6 engine that produces 292 horsepower on 8-speed AT. This standard engine can go from 0 to 60 in just 6.2 seconds, and can give you a noteworthy fuel economy of 27 mpg on the highway and 18 mpg city. Post originally appeared on VivaChryslerDodgeJeep.com blog page. Posted on December 15, 2016 by CedrickPosted in BusinessTagged cruces, dealer, dodge, las, showcases.